When the iPhone Makes a Perfect TV Remote? I’ll start off by saying that I agree 110% with the article from our friends at DSI Entertainment on the subject of iPads, etc. as remotes: 5 Reasons Why I Love my iPad but Hate it as a TV Remote Control. In general, I think they’re terrible. I need hard buttons, don't want to be blinded by the light, and don’t want the whole Swipe and Wait experience. I’m not easily impressed, but on a recent trip to New Orleans, I was pleasantly surprised to discover a case where the iPhone was way better than the TV remote. I was staying at the Inn on Bourbon Street (note to self: take earplugs next time). I got into the room and flicked on the TV for some white noise while I was working. 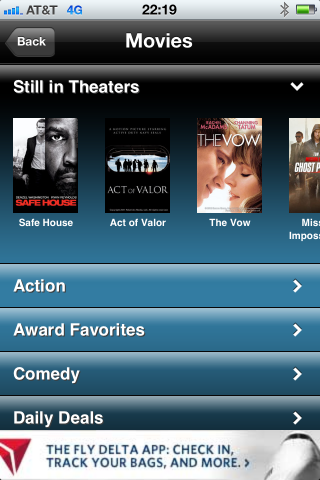 On the welcome/please-buy-an-overpriced-movie screen, there was a note about an App to control the TV. What the heck, I’ll check it out, I thought. On launching the app, I was prompted to select a city and then the Hotel (shame it couldn’t pick this up from the WiFi). Once the App had established where I was, I was presented with a home screen offering the choice of Hotel Features, Local Info or In-Room TV Control, and–of course–some Ads. 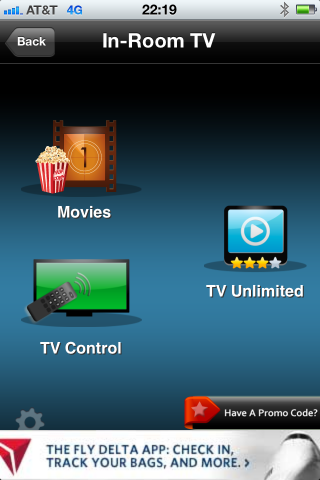 Once connected, I was able to browse on-demand TV shows and movies, but most importantly, control the TV. Now, you still have to do the whole Swipe and Wait thing, but that was tolerable given the benefits. I was no longer stuck with those awful remotes they use in hotels, which always seem to have expiring batteries. More importantly, I had the channel list, so instead of having to find the little laminated cards with a channel listing that they have in all the hotel rooms, and turn on the lights to read it, I could simply browse the channels on my iPhone. There was also a volume control and power on/off. 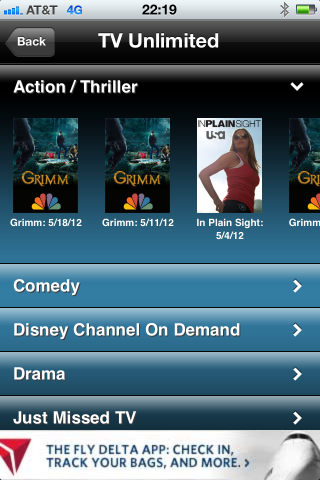 The most obvious missing feature was a channel guide. The local content wasn’t much to write home about, but I’m sure it will improve over time. 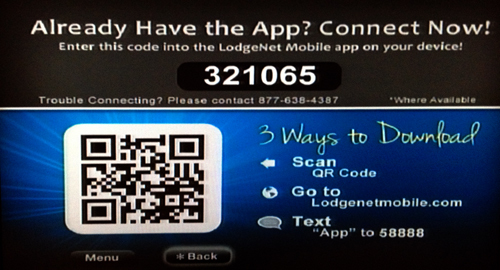 I’m not sure how many hotels Lodgenet have, but clearly ad revenue could provide an additional revenue stream. Not only can they sell content sponsorship in the Local section, they also receive iAd revenue from Apple (Delta Airlines ad in screenshots above).